A few years ago, I struck up an online friendship with Wendy Shalit, author of A Return to Modesty, the book that Jessica Valenti of Feministing was at least in part responding to with The Purity Myth: How America’s Obsession with Virginity Is Hurting Young Women. I’ve offered to put on a Modest Dressing Fashion Show at my church this spring, and I have no idea (yet) how to run it! Help!! It’s geared towards junior high school and high school girls and their moms. As I wrote in Bullish Life Fashion Week Edition: What Modeling Taught Me About Men, Money, and Life, I’ve been in a few fashion shows. Not big, fancy ones. Really DIY ones, which is kind of exactly what this person needed. Here was my response, which I’ve edited to take out references to modesty and to add a few how-to notes. 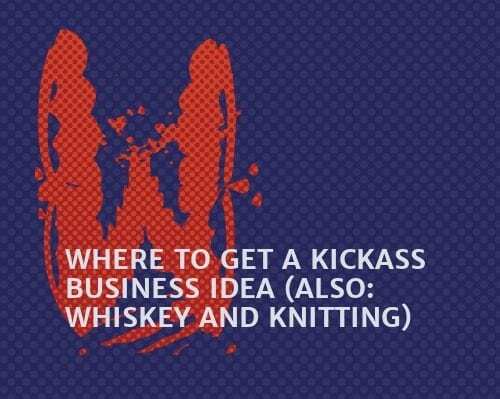 I’m assuming that if you want to hold a fashion show, you’ve already got the clothes, because you are a fashion designer, or you sell vintage clothing, or you knit clever pasties and sell them on Etsy. So that part isn’t covered here. Let’s start with location. I’ve been in fashion shows in bars, restaurants, and up the center aisle of a Williamsburg, Brooklyn mini-mall (it’s important to have control over the lighting if you’re trying to make a mini-mall look good). A good rule of thumb is that if you have to make all the magic yourself, pick a location that’s already a nice place to be when you’re not holding an event there. So, restaurants and art galleries, yes; warehouses, no. You don’t want to discover at the last minute that, while the old biscuit factory is really cool, there’s no way to heat it above fifty degrees. You also don’t want people feeling like lameasses for standing around after you’re done; if you’re inviting people out, invite them to someplace where people inherently like to linger. It’s true that this is emphatically not the case at Fashion Week, where many shows take place, late, in freezing cold tents. But if you are an up-and-coming designer, I doubt that anyone wants to sit on a frigid folding chair on your behalf. Also, unlike Marc Jacobs, who does not want to talk to the hoi polloi after his show, you will probably want people to stick around and buy things or Tweet or talk to you about their retail outlets and whatnot, so pick a location where people will actually enjoy schmoozing after the show is over. Arrange things so that the hardest outfits to get into come early in the show, so that a model’s switch from first to second outfit can be done very quickly. You don’t need a real “runway” or anything on the floor. Just practice with the models where they should walk so everyone sees every angle of their outfits. For instance, each model might walk from a back room, down an imaginary aisle — pausing halfway to do a pose with hand on hip, smiling — walk to the end, pause and smile, turn halfway around, pause and smile, turn and walk back. The difficult thing is always getting the models to walk SLOWLY enough, or the whole show is over in five minutes. Get them to practice, and tell them that they need to walk slowly, and also, when they stop to pose, they need to stay there a minute — imagine they have to get their pictures taken two or three different times on each walk down the runway. To facilitate this, you might have an actual photographer at the end of the “runway” — each model walks to the end of the runway and everyone watches as a photographer catches a few shots — this looks kind of official and glamorous, and of course everyone will want photos. The second before each model steps backstage, the next model starts (think of this like a very slow relay race). Make the models bring their own shoes — ask each model to bring black heels (no chunk heels) and also something neutral (usually strappy heeled sandals that are inconspicuous and could go with anything). The announcer should be someone who can ad-lib a bit, so maybe later while the model’s walking, the announcer might say “Wool is a great winter fabric…” or “This style of dress looks great with or without a belt,” etc. The idea is to sloooow each model down (what seems like an eternity to her is generally about ten seconds in reality, so the more talking is happening, the more reminder she has that she has to stay out there). Have a staging/changing area set up, with mirrors and electrical outlets (and a clear marker somewhere of “No men beyond this point!”, at least if the models care about that sort of thing) and make everybody get there a solid four hours ahead of time. An announcer at a microphone says some opening words, thanks everyone, etc. Someone else starts the music. Announcer announces each outfit as each model comes out and does a slow walk through the runway area and back. When all the models are done, you can bring all the models back out to be seen at once, which everyone always likes (and which is great for photos). Doing a fashion show brunch provides the added promise of a pretty excellent time even if the clothes are questionable (and even if people are paying for their own brunch). 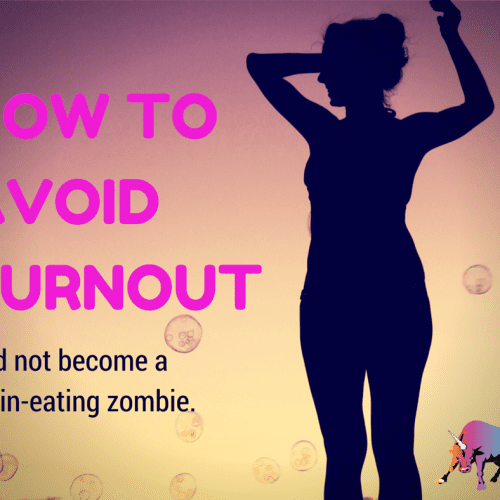 If you do brunch, you might want to start the show after people eat (much the way a speaker at a business event usually begin somewhere around the dessert and coffee portion of the evening), or just have a buffet table available for after the show is over. Because I can tell you from experience that it’s super weird to walk down a makeshift catwalk in your underwear while people are plowing French toast into their mouths. Oh, and finally — of course I would personally invite bloggers to attend, webcast the whole thing, and get some especially narcissistic models who will spread the photos all over the entire Internet so everyone knows that they are SO PRETTY and also that you totally had a fashion show. That’s it — good luck! This is the most legit show I ever did. Notice the brunch-havers looking weirdly over their shoulders. Getting your hair and makeup done professionally is really fun, except for sort of being like when you get a manicure and then you’re not allowed to use your hands. Need to make an entrance? Hang up a blanket! People want to look at the models anyway. I am taking this very seriously. And I might tap dance. Oh, and it’s great for a fashion show if you can borrow some long benches for people to sit on, because benches and runways are both, um, long. This is pretty much my favorite picture in the world. Sometimes when you hold a fashion show in a bar, this happens. I don’t remember what was happening when this was taken, but it kind of looks like I’m about to give a lap dance that ends with slapping someone upside the head. 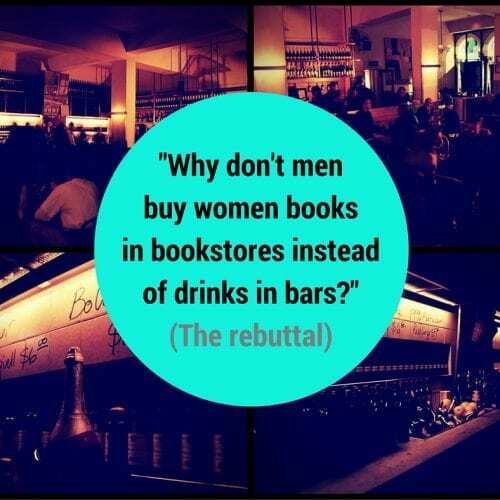 Why Don’t Men Buy Women Books in Bookstores Instead of Drinks in Bars?